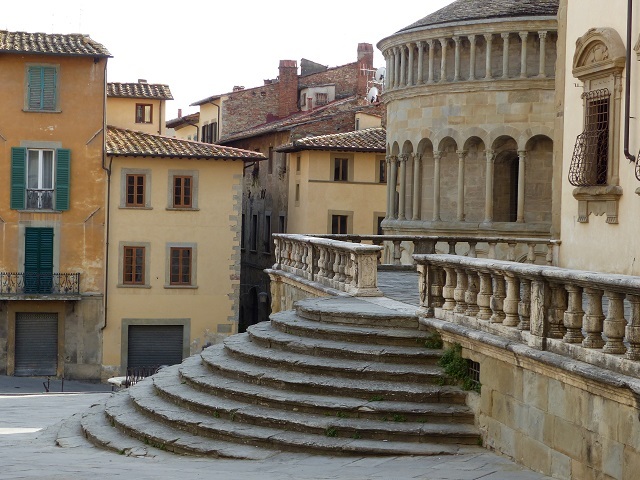 Arezzo is a delightful Tuscan town that doesn’t attract as many visitors as it deserves. This is great for those who do drop in because they get to enjoy this gorgeous town without the crowds. 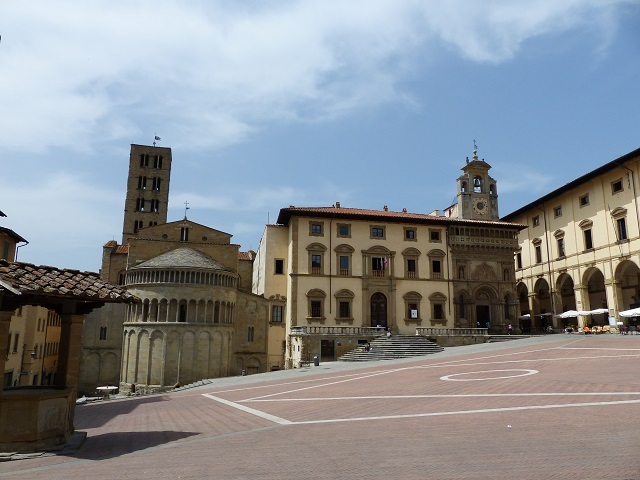 Piazza Grande is the heart of Arezzo. 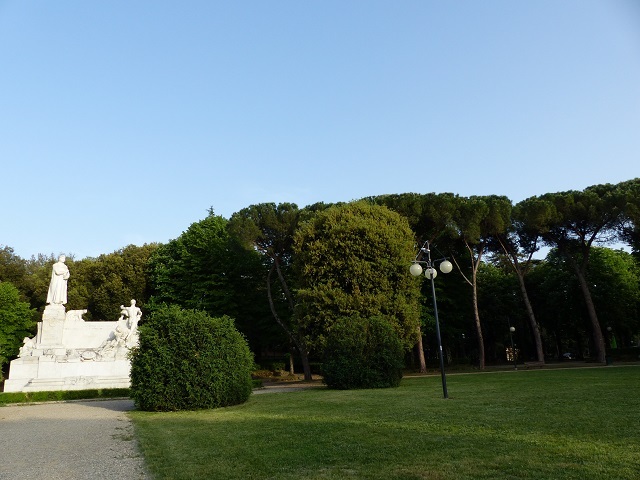 Once a month it is full to the brim with an antique market which attracts thousands of visitors, but it was quiet and peaceful the day we were there. The sloping piazza is surrounded by magnificent buildings, including the Apse of the Chiesa Santa Maria della Pieve and the Palazzo del Tribunale, with its semicircular staircase. Next to that is the stunning Renaissance masterpiece, Palazzo della Fraternita dei Laici. It has a bell gable and clock dated 1552. The clock made by Felice da Fissato is still the original timepiece and marks not only the hours, but also the days, the phases of the moon and mi event of the sun. 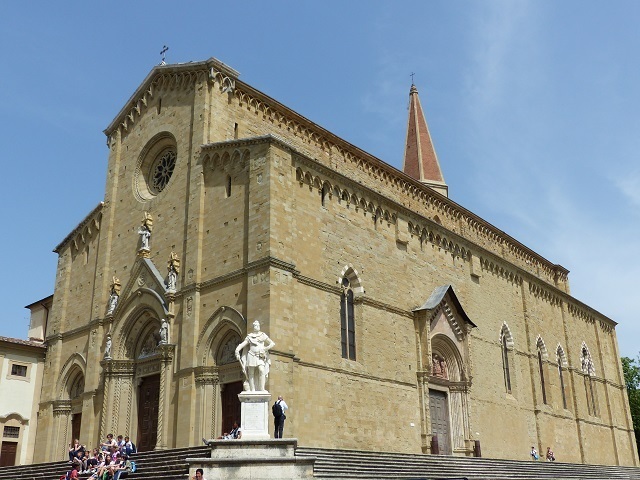 Basilica di San Francesco is one of Arezzo’s most important churches. 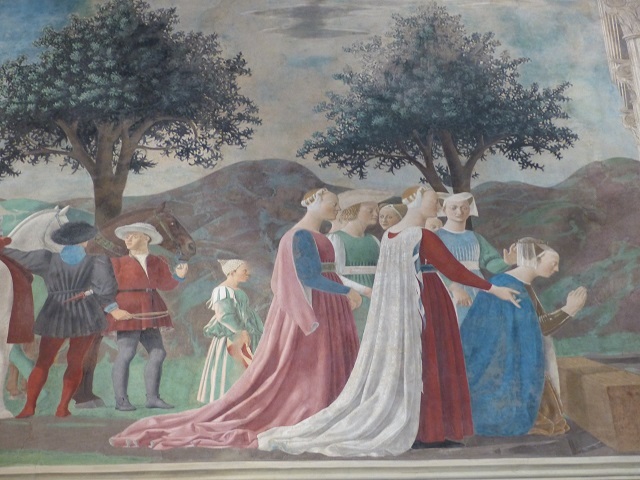 It is famous for its art…The Legend of the True Cross by Piero della Francesca. The frescoes are magnificent. It is worth a visit to Arezzo just for these. There is a beautiful park at the top of the town…the perfect place to enjoy a cool, quiet afternoon in the shade of the trees. 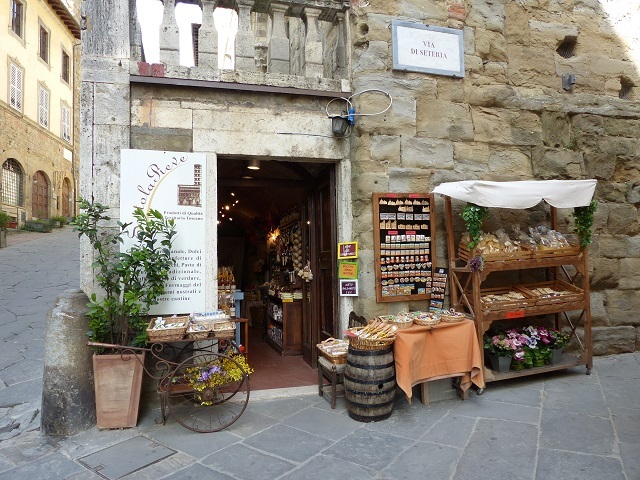 There are some excellent shops in Arezzo selling a wide variety of local food delights. 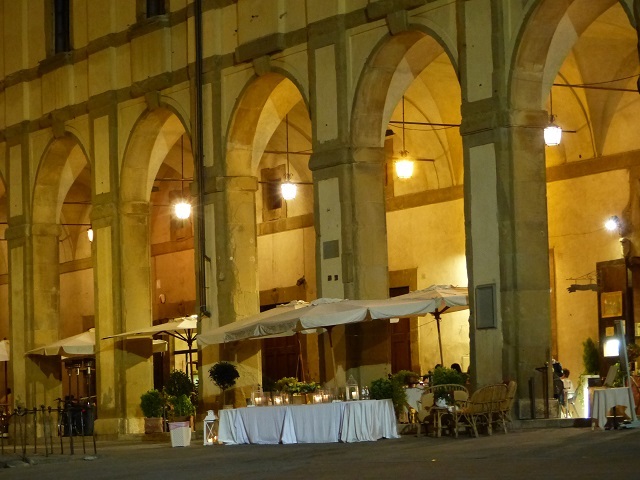 We enjoyed a particularly delicious dinner under the portico of the Palazzo delle Logge dei Vasari in Piazza Grande…the perfect way to end the day in Arezzo. 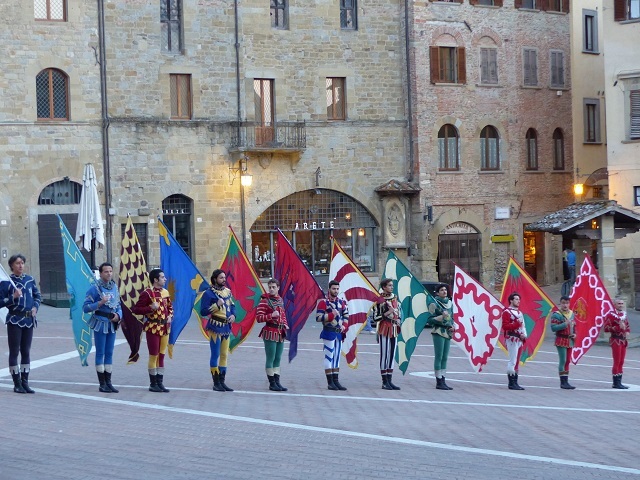 …particularly when a troop of sbandieratori arrived with their musicians and put on a stunning show for us. 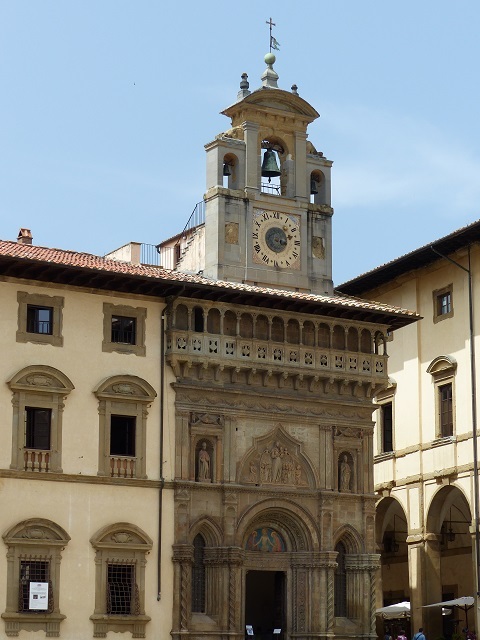 Don’t miss Arezzo…you won’t be disappointed! 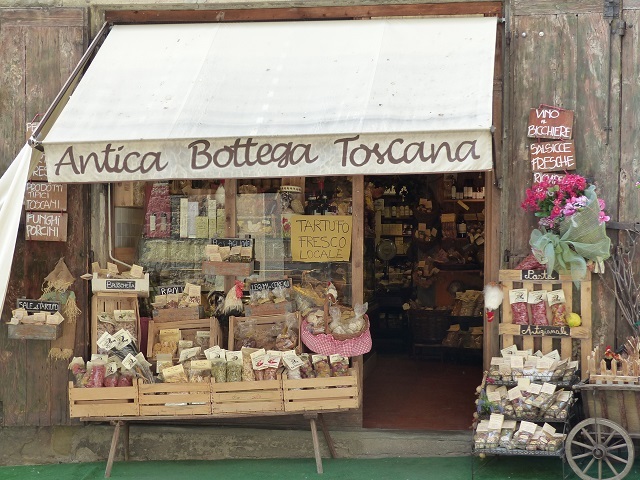 Concierge tip: Visiting Tuscany? 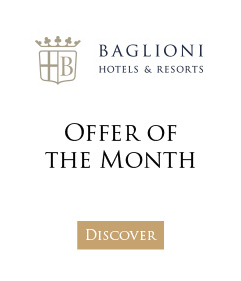 You can now enjoy a stay at the romantic Relais Santa Croce – an intimate luxury boutique hotel in the heart of Florence – and combine this with a signature Baglioni VIP Experience such as an unforgettable balloon ride over Tuscany or perhaps a private tour of a local vineyard.